USD was supported due to the FOMC confirmation of the investors’ expectations of a Fed rate-hike. 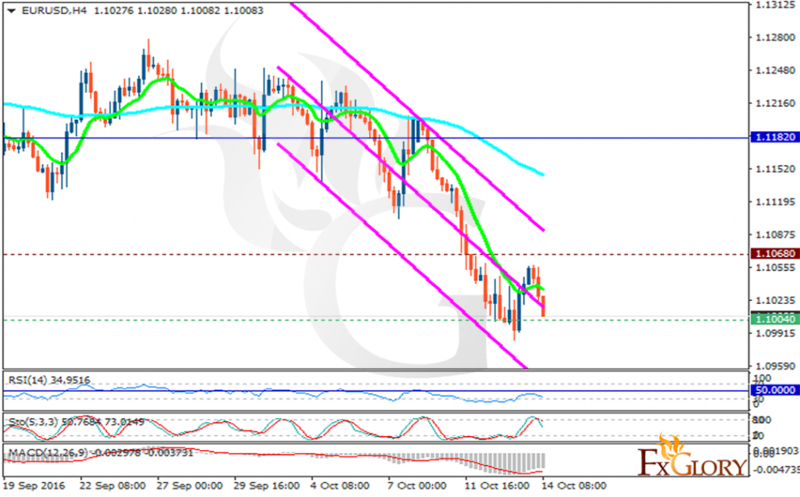 The support rests at 1.10040 with resistance at 1.10680 which both lines are below the weekly pivot point at 1.11820. The EMA of 10 is moving with bearish bias and it is located below the EMA of 100. The RSI is moving below the 50 area towards the oversold area, the Stochastic is showing downward momentum and the MACD indicator is in negative territory heading up. Sellers can target 1.0900 at the moment.